On July 20th, 2017, Linkin Park front man and vocalist Chester Bennington passed away after committing suicide in a private residence he owned in Palos Verdes Estates, California. Friends, family, loved ones, band mates, fellow musicians, fans and general music lovers around the world were absolutely shocked, along with being in denial and heartbreak as nobody expected his untimely and awful death. Even those the closest to him just felt confused and hurt, especially the wife and six children he left behind. It felt like the entire world mourned the loss of him when the dreadful news broke out. We lost a very talented musician, outstanding voice, son, husband, father and all around great person, but his music and legacy will be honored and remembered forever. A few nights ago that was shown in full effect. A three hour plus memorial show was held for the late singer on October 27th at the Hollywood Bowl in California. 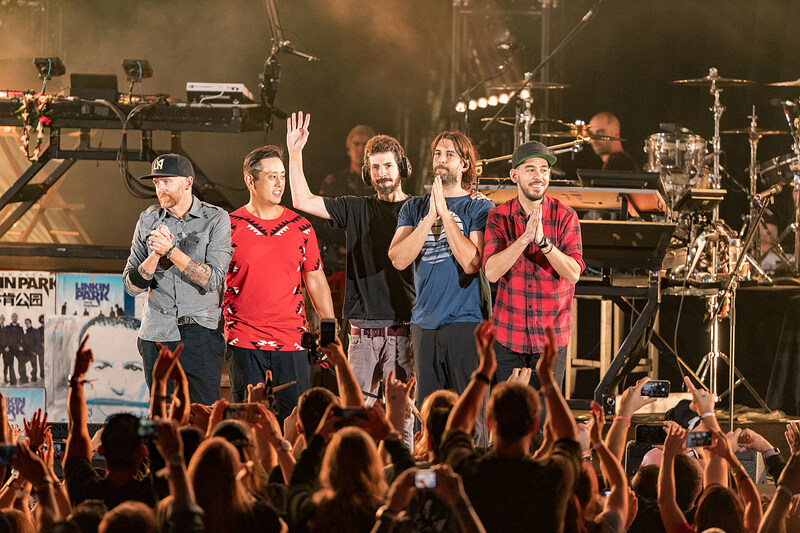 Over eighteen thousand fans were in attendance on this night, watching the surviving members of the band play old and new songs from their twenty plus year career together for the first time since Bennington’s death. Along with that many other big names also showing respects and playing such as members of Metallica, Guns N’ Roses, Blink-182, Korn, System Of A Down, Sum 41, Bring Me The Horizon, No Doubt, Yellowcard, Machine Gun Kelly and even U2. The news of Chester’s premature and grieving passing hit everyone in a way and it showed here. Especially so soon after the very similar death of Soundgarden vocalist and close friend of Bennington’s, Chris Cornell. These two have both been probably the worst out of all of the terrible blows for the music world in 2017, a lot of big names, wonderful, inspirational people have been lost this year and everyone has felt it. But this was the perfect night to honor Chester and all of those that we’ve lost and get out all of our emotions. 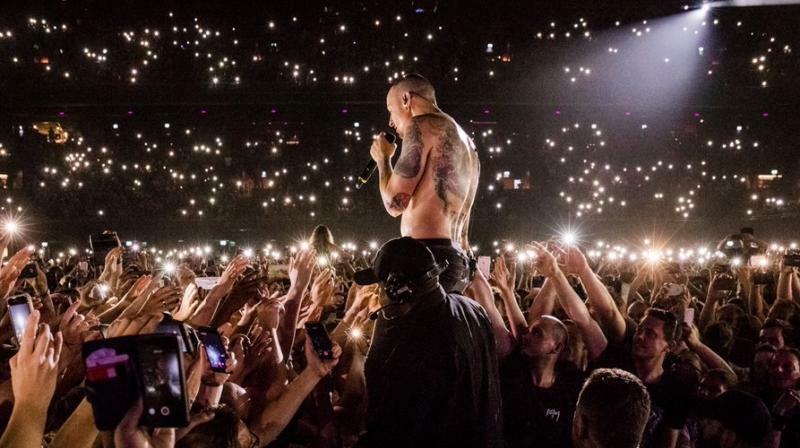 The moment that is best pictured and described is the 18,000+ fans taking over Bennington’s parts on the songs “Numb”, “One More Light”, and “In The End” singing at the top of their lungs with a spotlight on an empty mic stand in the middle of the stage where the singer would be. This shows that we’re all together and even though we’ve lost these people that mean so much of us, at the same time they’ll always be with us with their spirits and legacies. Their music and remembrance will live on forever.